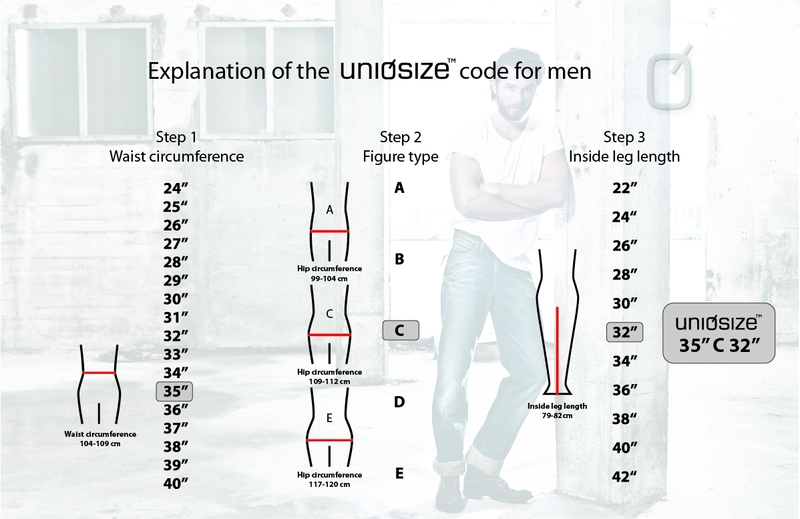 MY STAR DENIM has formed a partnership with the automated fitting and size concept UNIQSIZE. In collaboration with some of the best tailors in Europe, UNIQSIZE has developed a concept whereby all the untold knowledge and know-how of tailors have been automated and structured in a huge base form database with an entirely unique graduation technique. Previously, tailors would make one piece of clothing for each customer. This required several measurements and the customer was required to return to the tailor shop regularly for so-called adjusting sessions before the finished product was ready. In the eyes of a modern consumer, this was neither cost-efficient nor acceptable in terms of time. Modern consumers would not accept having to wait several weeks for a new piece of clothing, and several surveys show that most people would also refuse to pay more for tailored clothes compared to mass-produced clothing. Many consumers tend to perceive tailored clothing as being somewhat old-fashioned and non-fashionable while 7 out of 10 still have to accept compromising in terms of fit when they go shopping for jeans. MY STAR DENIM has solved these challenges in collaboration with UNIQSIZE. This allows us to supply you with super cool and fashionable jeans at the same price as standard mass-produced jeans - and within a mere 10 to 20 days. The key to this is the UNIQSIZE system. Instead of making jeans based on the old tailoring technique, we now have 1377 ready electronic "standard sizes" for women and 935 for men. 99% of the adult population may be grouped into one of these standard sizes which we also refer to as UNIQSIZES.